Being a new mom is challenging in many ways including adjusting to and improving the physical body. Personal trainer and fitness instructor Jen Dean knows that losing pregnancy weight while spending time with your baby can be a challenge. 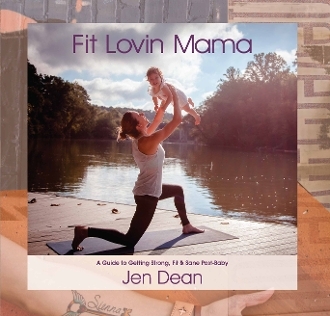 In this book, she wants to inspire all moms to live healthy, fit, active lives and incorporate their babies into those lives. Participating in the exercises in this book will not only strengthen the bond between you and your baby, but will also keep you two feeling happy, healthy, and strong.